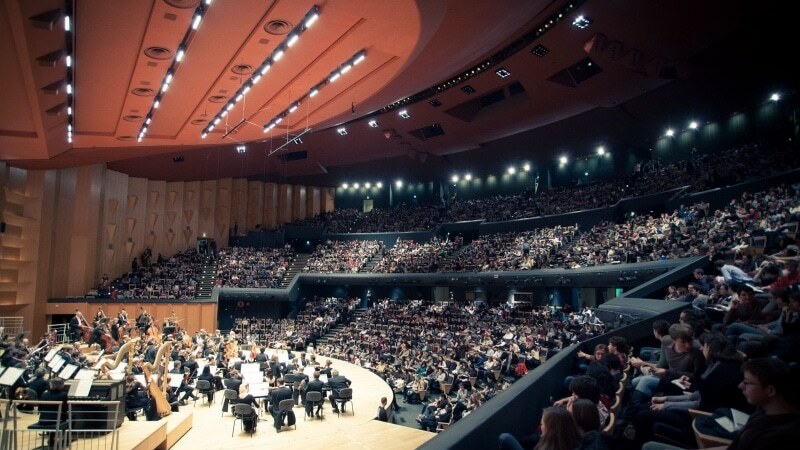 The Auditorium classical music concert hall, home to the National Orchestra of Lyon (ONL) is a 2100 capacity venue reputed for both its quality of sound and internationally recognised orchestra. The impressive concrete and steel Auditorium was built in 1975 and under the general direction of Aline Sam-Giao and thanks to partnerships with notable organisations such Jazz at Vienne and the Institute for Lumière in Lyon, is proud to present a wide range of musical events each year to a total of around 250,000 spectators seated in exceptional comfort. Lyons classical music Auditorium Maurice Ravel. (c) David Duchon-Doris. 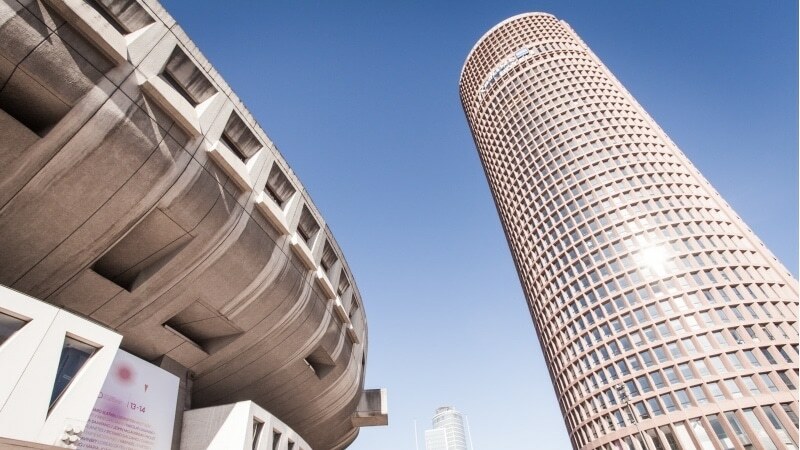 Heir to the Société des Grands Concerts de Lyon, founded in 1905 by Georges Martin Witkowski the National Orchestra of Lyon became a permanent fixture in 1969 thanks to the wishes of Robert Proton, the deputy for culture in the city of Lyon at that time. The musical director since 2011 is American Leonard Slatkin who is also musical director of the Detroit Symphony Orchestra (DSO) and previous directors of ONL include Louis Frémaux (1969-1971), Serge Baudo (1971-1987), Emmanuel Krivine (1987-2000), David Robertson (2000-2004) and Jun Märkl (2005-2011). Lyons classical music Auditorium Maurice Ravel in the Part-Dieu area. (c) David Duchon-Doris. The 100 strong orchestra is considered one of the best in Europe and has accompanied acclaimed soloists such as Yo-Yo Ma, Martha Argerich, Vadim Repin, Truls Mørk, Radu Lupu, Krystian Zimerman and Jean-Yves Thibaudet. The first European orchestra to perform in China in 1975 and numerous concerts at prestigious venues around the world such as Carnegie Hall in New York, Royal Albert Hall in London and Suntory Hall in Tokyo, testify to the magnificence of the Lyon National Orchestra. The first gold disc ever awarded to a symphony orchestra went to the ONL for their recording of Ravels Bolero in 1984. There are some very reasonably priced ticket options including a last minute deal for €8 (under 28 or unemployed) so don’t be put off going by thinking it’s expensive to go listen to one of Europe’s finest orchestras. Admission prices vary from around €10 to €70 and for children only €5. Tickets can be reserved online from the Auditorium website where you’ll also find all the program information or can be purchased at the Auditorium box office. 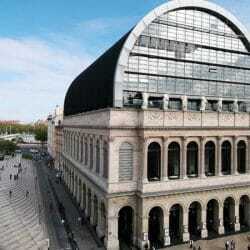 The Auditorium is located at the foot of the Part-Dieu tower between Les Halles and the Part-Dieu shopping centre. Metro line B, stop at Part-Dieu ou Place Guichard. Tram T1 or T3 stop at Part-Dieu or Servient. Bus C3, C7, C9, C13 and C38, stop at Part-Dieu or Auditorium.